It’s week 2 of “Up to Snuff*”, and we have a few changes on the leaderboard already. 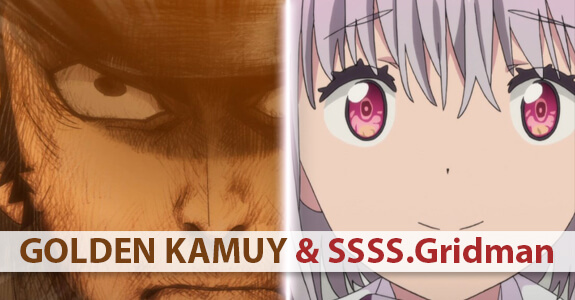 Would this week’s heart-wrenching episode of Golden Kamuy be enough to keep it atop the rankings, or would kaijuu, slimes or goblin slayers storm the barricades? And would anyone besides Enzo watch a sports anime? Results are below, along with this week’s bonus “Best Male Character” poll and Takaii’s Hidden Gem. Please enjoy and as always, we look forward to your comments. * Name subject to change – maybe “The Good Place”? 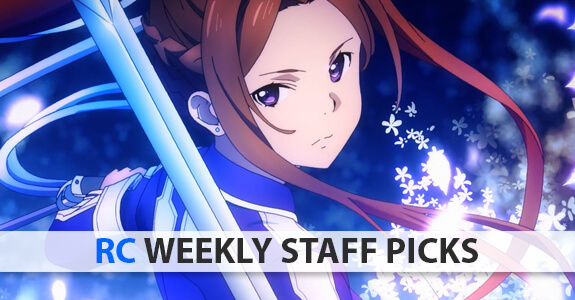 Weekly Staff Poll – It’s a tie! 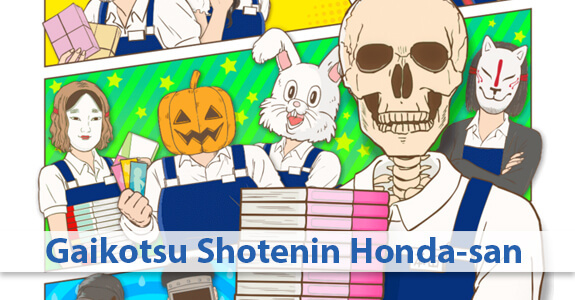 On the surface, Gaikotsu Shotenin Honda-san might look like a silly show about a skeleton who works at a bookstore. And if that’s what you thought (like I did), you wouldn’t be completely wrong. However, underneath the guise of a simple skeleton selling books is a complex show that uses its 12 minute run time extremely efficiently to tell us what it’s like to experience the rush of working in a Japanese bookstore that, at times, devolves into a fun-to-watch critique on the various genres that exist out there. Using the first episode as a prime example, if anyone out there is a fujoshi or knows a fujoshi, I don’t think you’ll make it through the first episode without shedding a few tears from laughing. The best of it all though is it sometimes feels like this show was made for an overseas audience since there’s a liberal use of English to handle the common scenarios where Honda has to help overseas customers. While I can’t capture the magic of this show in a single paragraph, I think you’re doing yourself a disservice if you’re not spending a measly 10ish minutes per week on this show. Give it a shot! Oh, this is a informative post with regards this seasons offerings. Thanks for all the work! Yeah!!! 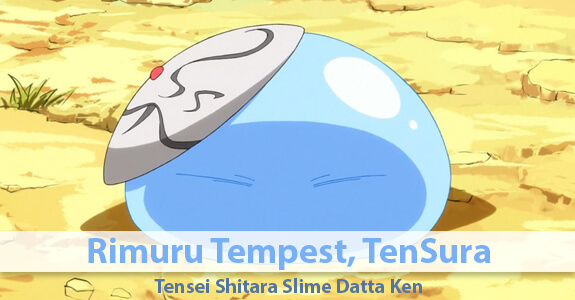 Tensei shitara Slime datta ken made it! The last episode really choked me up (anyway)…. to marathon – Slime should be one of them. Why (especially Slime)? installment. Golden Kamuy and Goblin Slayer are like that as well. I like the Takaii’s Hidden Gem: section. I’m going to checkout Gaikotsu. It’s okay — I vote for it each week. I wanted really badly to like it – interesting premise and it was great to finally see a series set in Nagasaki (a gorgeous place). But I gave it six episodes and it just didn’t close the deal.